"A whole block, but in the midst of the fields, open to auroras, rains, "sudestadas". The even block that withstands in my neighbourhood, Guatemala, Serrano, Paraguay and Gurruchaga", wrote Jorge Luis Borges, illustrious neighbourhood dweller, in his "Fundación mítica de Buenos Aires". From those verses to the actual flourishing Palermo Viejo, Borges ´s vision of the fields has changed substantially, populating the open green spaces with boutiques, design stores, bars and trendy restaurants. A walk along "Plaza Cortázar" gives us a glimpse of a few of the varied restaurants of fusion or ethniccuisine, which, during weekends, fill with hangers loaded with clothes by young designers. A sea of people floods the streets and shops in the area, where colours, fabrics and models are ranged in the ranks of originality and design. Beyond this epicentre, on neighbouring streets, designers of longer standing and renown have set up their own stores where party dreeses, shoes and exclusive skirts and underwear are in constant demand by women of varied styles. And not to forget those selling novelty furniture, objetcts and accessories. 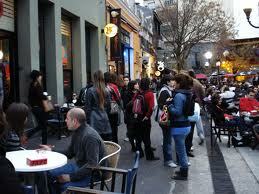 Córdoba avenue is yet another walk that depicts the neighbourhood´s identity. 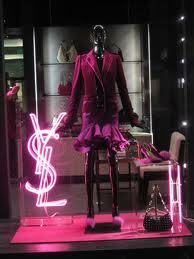 A huge number of shops, standing side by side, offer clothes by first quality comercial brands. A detailed inspection within these shops may lead to the discovery of garments from last season or with some minute flaw, which makes them more affordable. The gastronomic offer deserves its own separate space, which from mid 90´s developed remarkable strength. There´s no street in Palermo lacking some bar-restaurant offering a unique, original and striking aesthetic, in its decor as much as its dishes. A common feature they share are their terraces or patios. The theme, passing a pleasant while, enfolded by soft background music and the fragrance of some neighbouring tree. 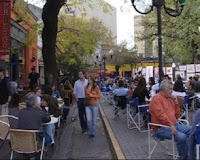 Location: Between Córdoba, Juan B. Justo, Santa Fe and Scalabrini Ortiz avenues. Main arteries: Córdoba Ave., Scalabrini Ortíz Ave., Thames and Serrano. How to get there: Buses 57, 140, 151, and D subway line. Best time to visit: On weekends, for the design fair. Neighbourhood corner: Serrano and Honduras.